Buckfast Ordinariate Mission joined the regulars at the Abbey Mass at 10.30am today. The weather was not good as everyone began assembling at the North gate of the Abbey precincts. The steward asked the men to remove their hats and I think many of the ladies thought, 'Thank goodness I am not a man!'. There was both a chilly wind and a drizzle as the Altar party emerged from the West Door of the Abbey to the sound of psalms being sung by the choir. Holy Week began with Abbot David blessing our palms and branches. Now we began the solemn walking with our Lord on his way to the Cross, and the way to our redemption by His passion and death. Today we walked with the Lord into His city with cries of "Hosanna to the Son of David!" Very great crowds turned up at St Peter's Square today for Pope Francis' celebration of Palm Sunday. The weather in Rome looked considerably better than Buckfast! The Pope spoke of three things in his homily: joy, the cross, and youth. Ours is not a joy that comes with having many possessions but from having encountered a Person: Jesus! ... Don't let your hope be taken away from you. I think of what Pope Benedict XVI told the cardinals: You are princes, but princes of a crucified King. 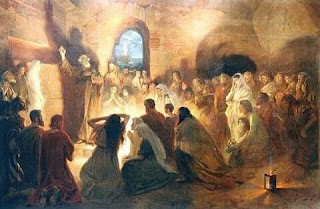 This is the gift Jesus gives to us all, on the throne of the cross. The cross of Christ embraces love. It never carries sadness, but rather joy. The same joy as salvation and of doing even just a small portion of what he did of His crucifixion. Prepare well! Above all prepare spiritually in your communities, so that our gathering in Rio may be a sign of faith for the whole world. He said that the young should tell the world it is good and joyful to walk with Christ and believe in His message; that it is good to go beyond one's limits and existence to teach others about Jesus. 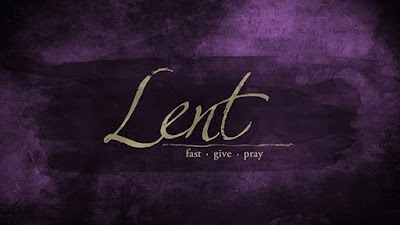 May this Holy Week be a time of renewal for us all as we walk with Christ to the cross, source of joy and salvation. 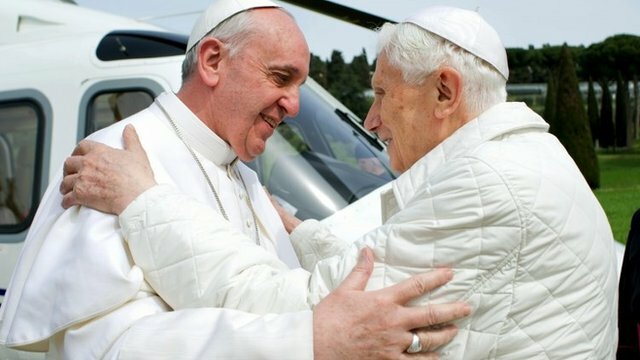 Yesterday there was a very touching and also historic meeting between Popes. 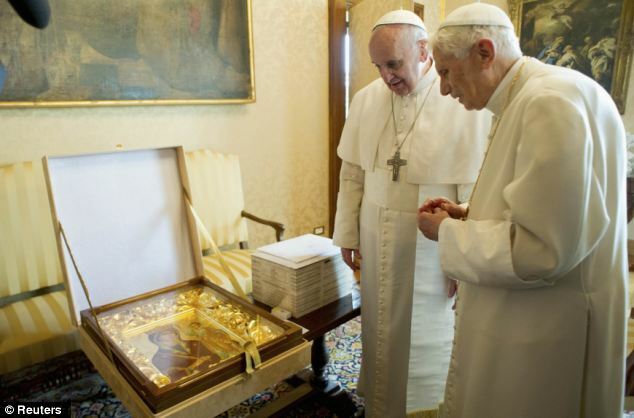 Pope Francis greeted Pope Emeritus Benedict with the words, "We are brothers." It was a very beautiful moment, but the frailty of Benedict came over too - here was a man who having given the weight of office to another, was now simply a man of his age. They told me it’s the Madonna of Humility. Let me say one thing: When they told me that, I immediately thought of you, at the many marvellous examples of humility and gentleness that you gave us during your pontificate. According to Dr Moynahan this was a gift from the Russian Patriarch Kirill sent via Metropolitan Hilarion who in a private audience with Pope Francis gave it as a gift to him (20 March). It is reported that the Patriarch is very touched and very pleased by this passing on of gifts. I cannot help but feel that this bodes very well for Catholic relations with our Orthodox brethren. Let us all hope and pray for reunion; that we all may be one.